Selected by eFinancialCareers as one of the top ex-bankers in FinTech, Dominic Gamble is on a journey to drive the digital transformation of the financial services industry. 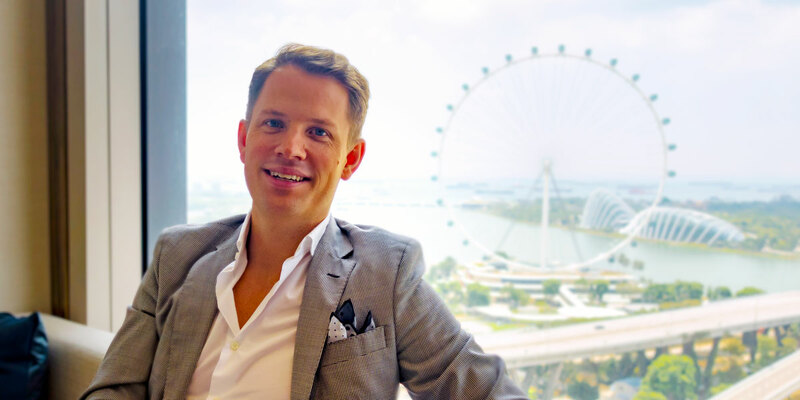 After working for over 10 years at leading global investment banks Credit Suisse and Deutsche Bank in London, Dominic Gamble founded several FinTech startups and relocated to Singapore, in Asia. 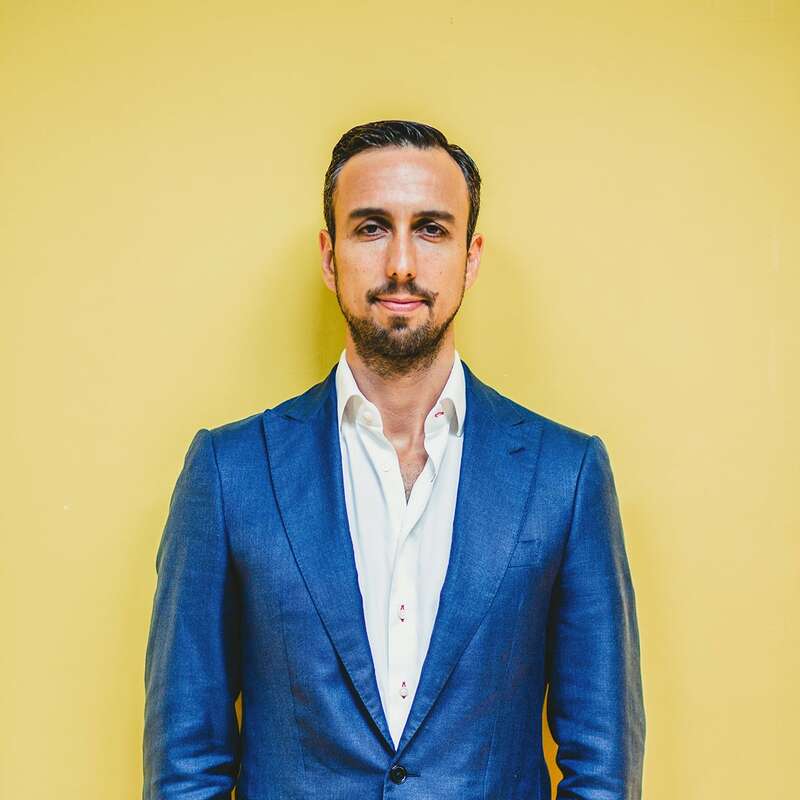 Through his journey from private banking, to FinTech entrepreneur and now WealthTech, Dominic Gamble’s career has provided him with a deep understanding of the behaviour and digital appetite of the affluent investors online. In his last position as the Chief Digital Officer for Privé Technologies, Dominic Gamble is at the forefront of the digital transformation of the private wealth management industry. He is now responsible to design and implement digital experiences for high-net-worth investors and institutions alike. Luxe Digital: What is Privé Technologies and what do you do? My role is to lead our digital advice and engagement solutions – consulting with our clients and providing innovative technology to make the lives of their advisors and clients better. All the solutions in my world involve touch points with the end investor. These include things like digital onboarding (online account opening) to so-called ‘robo-advisor tools’ (building a portfolio with a few clicks based on the client’s profile), setting financial life goals, to client engagement and client acquisition. Those last two are in my DNA and I sold my Asian client acquisition business to Prive in 2017. What I love is building products that solve a challenge between advisor and customer. There are plenty of those in wealth management. Luxe Digital: What are your users typically looking for when visiting your website and what are the main benefits of using a digital platform? Dominic Gamble: Understanding the end-user is key to building the right digital experience. Across our business lines, these users vary in wealth, age, tech savviness and their trust in technology. That’s not just about the consumer, but the advisors within the financial institutions too. So we have a delicate line to walk – over-engineering and also oversimplifying UX and UI can alienate certain groups. What we’re seeking across our product group, is easy to understand, intuitive and useful functions that strip away the superfluous and focus on doing the core functions brilliantly. The beneficiaries of the technology – the end investors – are principally individuals with $100k and above. Actually, client-facing technology for the ultra-high-net-worth investor (UHNWIs) is still not prevalent for many reasons, but the main reason being that it’s generally perceived the Asian high-net-worth does not want a tech-based relationship (for the time being). However, that is not the case for the affluent and high-net-worth segments. 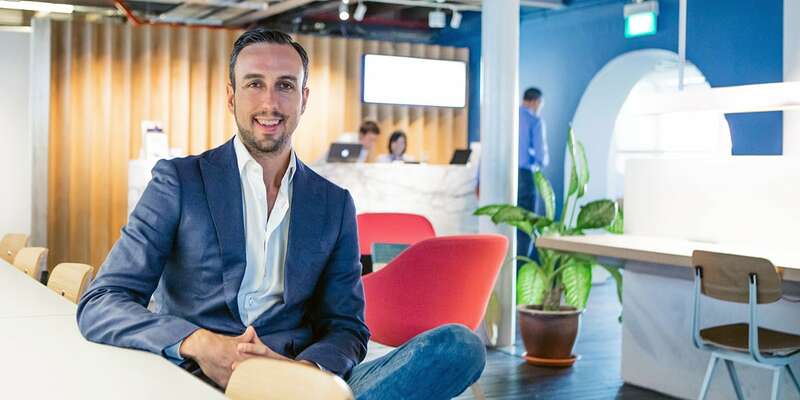 This is the user base that has trailed the Millennials for digital usage in Asia, and they are demanding more digital delivery of services than ever before. Luxe Digital: How would you describe both your financial service providers and your end consumers? Dominic Gamble: We have a wide range of user types – men/women, late twenties to late 80s in age, different nationalities and different device users. They are not millennials though, that’s a common denominator. 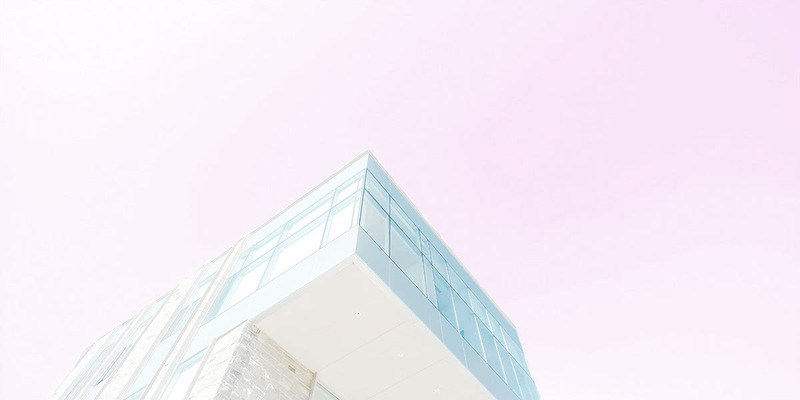 However, the biggest challenge for the institutions to overcome is not so much user based – it’s to frame wealth management appropriately in the user’s daily digital behaviour. When I buy from Amazon or Zalora, the experience is very familiar. When I check my bank account online via app or web, the experience is familiar (and becoming more so in Asia from a low base). However, when I ask a user to build an investment portfolio, generate their risk profile, reading a portfolio proposal – users are not familiar or even keen to do this in their spare time. So this has a hugely important impact on product proposition and product design. We really have an edge on this compared to other tech businesses, that’s what gets me out of bed each day. I see so much potential and either zero or poor execution by institutions to engage their user digitally. Luxe Digital: What does luxury mean in the context of financial services? What value does it add to your users? Dominic Gamble: This is where things get really interesting. The luxury sector has laid down a lot of key, positive learnings for consumer digital best practice in Asia. It’s been boom time here in Asia for luxury over the last 15 years, and there is a considerable application of these practices into the world of wealth management because it is also a premium service. Why? Because quality still depends on price. That dynamic may adjust in the medium to long-term, but delivering high-quality advice, infrastructure and opportunities cost money. This infrastructure is not currently translated into a scalable online platform. Private banks are resource-heavy businesses. Robo-advisors, effectively online investment managers, are posing a well-justified challenge to wealth managers fees. But their service levels and breadth of opportunities are extremely narrow and they are not yet a high-end offering. They help the retail audience to access wealth management, but they don’t help the mass affluent and high-net-worth get better wealth management. The luxury experience is a key hook that wealth managers can use. Some have tried, with degrees of success, to have luxury partners and luxury style branding, but none have really pinned their hat to marketing in the style, or with the benefits, of a luxury brand. Design is so important in this process and wealth management has traditionally paid little to no attention to design-thinking. 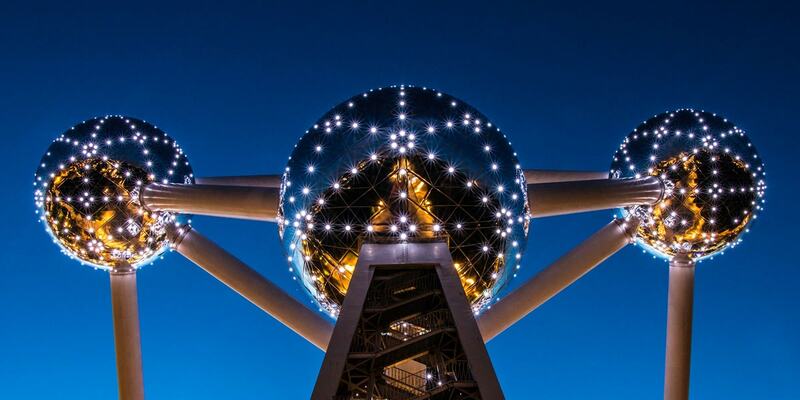 Now as the digital dawn finally rises, design is paramount. Those brands that create digital experiences will well-designed user experiences and user interfaces are going to significantly boost their chances of success. The consumer is now in-built to expect great UX and UI from their digital services, wealth will be no exception. There is a misperception that wealth management for retail and mass needs to be light and filled with infographics. Many of the robo-advisors follow that trend. But lifestyle is key in the mindset of a wealth management client and I would argue that pitching a more luxury offering, to a lower end, entry level, client base is a stronger brand strategy in Asia. Even if the new working generation is motivated more by lifestyle than money, padding that lifestyle costs money. Achieving that lifestyle is the bridge that wealth management offers. Fulfilling the lifestyle aspirations of an investor – that’s the wealth manager’s service. Luxe Digital: How has digital transformed the way the private wealth management industry operates? Dominic Gamble: It hasn’t yet. Certainly nowhere near other industries. But that’s what makes it exciting right now. The sector is going to change hugely over the next 10 years. The Internet of things and digital technology have transformed almost every industry, and whilst slow on the uptake, we are beginning to see its effects on the traditional world of wealth management in Asia. Digital solutions provide new ways to engage with clients and deliver a personalized, seamless and integrated experience, in a more cost and operationally efficient way. What’s really interesting is that the digital advances in other sectors such as luxury are fundamentally altering consumer behaviour in wealth management, and that is driving change in the industry as brands are being pushed to evolve. Luxe Digital: How are the expectations of HNWIs when it comes to digital solutions, in particular, evolving and reshaping the finance industry? Dominic Gamble: I read reports at how the UHNW is so tech savvy in Asia and I laugh. It’s broadly speaking total rubbish. It will change, slowly but surely. The UHNW is Asia is still characterised by a traditional businessman (more than a woman for now), who is first generation or second generation wealth. He is 60+ years old. He messages his children on SMS from his mobile phone and has the text enlarged so much that it’s almost 1 letter per screen. He wants to meet his private banker in a hotel lobby to discuss business over tea. This is not a digitally savvy customer. Whilst I’m portraying a stereotype and changes are taking place. It doesn’t mean that digital models can be implemented to change the UHNW behaviour today. This is the failing of many robo-advisor models in Asia who are trying to target the HNW/UHNW. Today’s digital opportunity for the HNW /UHNW is operationally focused. In other words, how can digital solutions be deployed behind the scenes to support enhancement client service (and more efficiency)? Today’s digital opportunities for Retail and Affluent sectors are both operational and delivery – that’s the difference. Luxe Digital: What are the biggest opportunities that the digital transformation of the industry brings for wealth managers? Dominic Gamble: Experience is key and this follows on from the previous point. Maybe one of the reasons the UHNW is less willing to use a digital solution is because currently, there is no high-end experience doing so? Looking at the digital wealth management tools that are out there in the market today, there is typically little to no differentiation in the user experience for a retail compared to a UHNW. I think the luxury brands have done this well, with digital experiences that support their brand value, and partnerships that support that as well, but still a key focus on the retail experience. This is a strong lesson – it shows that even in the luxury world, what we call the ‘Bionic’ approach to sales and relationships, is still key. ‘Bionic’ means a part human, part digital approach, where tech is not replacing the human ‘advisor’ but empowering them. For our business, this is the big message to financial institutions for the next 5+ years. Don’t offer the consumers purely digital solutions, that won’t work. Instead, empower the advisor and the face to face relationship by using digital to build stronger relationships, build more targeted advice and preferably a great high-end experience. It is amazing how little the banks are spending on their face to face experience these days, it seems like tech has all the focus. They shouldn’t forget the power of great client meeting and entertainment spaces, as well as great partners and perks with brands from the fashion, travel, lifestyle sectors. These are competitive advantages in an increasingly homogenised industry. Dominic Gamble: The biggest challenges lie with the industry themselves. It’s a difficult time for the incumbents and they will need to rely more than over on third-party expertise rather than doing things themselves in-house. Their businesses are under cost-pressure, their sector is losing shine with the consumer, especially the younger (future) client. Their future success lies in technology and faster digital evolution, but how can they achieve this? They are not able to hire the best design or tech talent, so outsourcing is not only more financially efficient, it is also necessary to get the best end product. In order to combat the rather stale perception of the industry, they must find new ways to engage their prospects and clients. Differentiating is key, and most of the time I believe that differentiation will not be in service capabilities, it’s going to be in the branding, marketing, design, luxury partnerships and digital enhancements that they offer the end clients. Dominic Gamble: I’m most excited about the financial industry coming out of the digital dark ages, especially in Asia. It’s starting to happen and arguably 5 years is nowhere near enough for the wave to truly break, but there are big changes afoot in the way people interact with their money, more and more providers will react positively to that and create experiences that consumers want.